Carson City and Lyon County officials will cut the ribbon May 22 to ceremonially launch new boating facilities for whitewater rafting and kayaking that have opened on the Carson River Aquatic Trail between Carson City and Dayton. For the first time, boaters have a developed area to put into the river at Morgan Mill Road in Carson City. The area offers a concrete launching ramp, paved parking, picnic tables and a restroom, and similarly improved facilities to take out of the river at Santa Maria Ranch in Dayton. 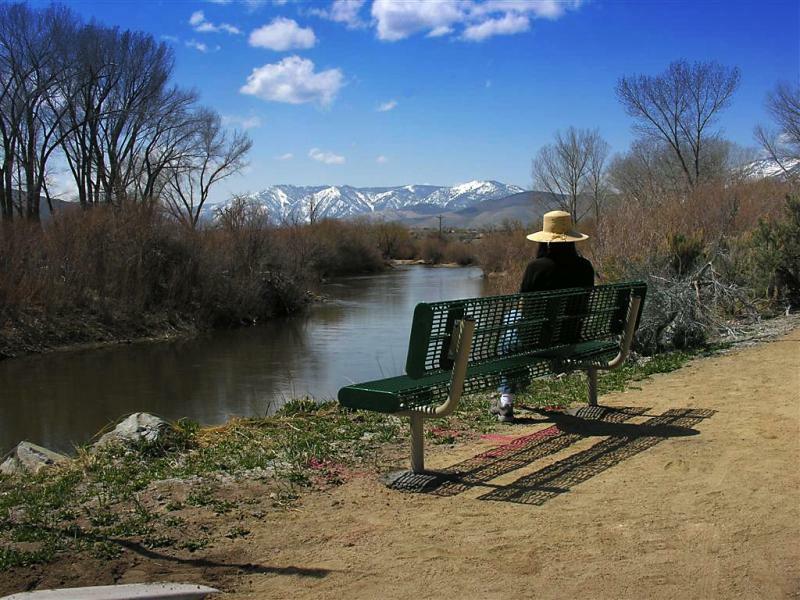 “Boaters will have a much safer and more convenient experience putting into the Carson River from Morgan Mill than ever before,” Director Roger Moellendorf of the Carson City Parks and Recreation Department said. “These new facilities represent a milestone for whitewater recreation on the Carson River.” The Morgan Mill Road River Access Area is a Carson City Parks and Recreation Department facility. The 3.3-mile Upper River Class I float is a peaceful 1.5 to 2-hour ride from Carson River Park through cottonwood and willow-lined riverbanks, concluding at Morgan Mill. It is suitable for beginners. The 9.3-mile, 2.5 to 3-hour Lower River Class III ride for experienced floaters puts in at Morgan Mill and offers exciting, challenging rapids in scenic Carson River Canyon with wildflowers, historic rock walls, mill sites and other relics from the old V&T Railroad and Comstock mining era. It terminates at Lyon County’s newly redesigned Santa Maria Ranch River Park in Dayton, next to the Santa Maria subdivision on U.S. Highway 50 in Dayton. It now includes parking, restrooms and a river-access beach for rafters and kayakers. The Carson River Regional Recreation Steering Committee is coordinating the event, which includes invitation-only rafting and kayak excursions for officials attending the ribbon-cutting. A bronze plaque to be erected at Morgan Mill will list the partnering agencies that contributed to the project: Carson City Quality of Life Initiative, Carson Truckee Water Conservation District, Carson Water Subconservancy District, Nevada State Parks, Land and Water Conservation Fund, Nevada State Lands, Conservation and Resource Protection Grant Program (Question 1). Site improvements were designed by Resource Concepts, Inc. and built by Horizon Construction, Inc., and Hansen Landscape Architects, LLC.